Bryce Shepherd from SCOR discusses different communication strategies as a way of increasing customer engagement. For a topic that is getting increasing attention in the industry, it still feels to me that we’re treading water, using rehashed attempts to engage with our customers and not really getting anywhere (as evidenced by year on year plateaued sales volumes). As someone in their mid-thirties, I’m coming into the prime demographic for Protection insurers but don’t feel particularly inspired or drawn in by the image our industry projects. The emerging demographic of potential Protection customers is completely different to the last generation and hence has completely different hot buttons – and cold buttons – for interacting. Here are a couple of areas where I feel things are just not right and I’ve suggested some solutions to progress in these areas. Who likes the idea of paying money to big corporations for 20/30 years and getting nothing back? No-one. You may say you’re getting protected for the unknown, but that view just doesn’t fly anymore. We want something now. We want to be reminded that the money we’re giving is doing something we can relate to. We want to feel like money out equals something back. Customers are very unlikely to recommend to friends and family unless they feel some engagement with the product. This is both in the way Protection is sold, and, over the time you have the policy. Interactions at point of sale will obviously depend heavily on the distribution, but focusing on non-advised for a moment, our approach needs to get a lot smarter and tailored to make us feel like we’re not just a policy number or revenue source. During the policy lifetime, the days of ‘don’t talk to them otherwise they’ll realise they have a policy and lapse’ are completely gone. Even if it were true, what kind of an attitude is that?! Once a policy is sold, we should not be forgetting our customer. We should be building relationships with our customers. Engaging them in the importance of the product they have and ensuring the cover and services remain sufficient for their life stage. Don’t be afraid to talk to them in a positive and interactive way. As we are arguably not the best at this, it’s here we should look to those that are experts in consumer communication and use them. We have been in the dark ages (sales wise not pricing wise – though they are intertwined) with data for quite a while. There are murmurings of change but we have a long long way to catch up to other technologically advanced industries. It is mind boggling how much publicly available data is out there and the rate at which it is expanding. Social media and internet usage habits are the obvious sources for purchasing, but there are other sources to use, more aligned with Protection and Health, that should be used for the ongoing customer journey. Making the contact with your policy holder as personable as possible, without crossing that creepy boundary where you walk past a store and a pop-up notification happens on your phone telling you to pop-in (that happened!). The vastness of data is there (e.g. wearables, fitness trackers, diet monitors, park run metrics, Strava, etc. etc. ), it’s about being able to sift through the mountains of it that is the key challenge, and there are companies out there (generally labelled as consumer analytics) who have the capabilities to collate, gather and interpret this data in meaningful ways bespoke to your purposes. Let’s use these data and communication experts. It can turn out to be cheaper than a large marketing campaign in the long run and, as it’s targeted at the right time for purchase, delivers better conversion rates. So you get better bang for your buck on initial purchase. 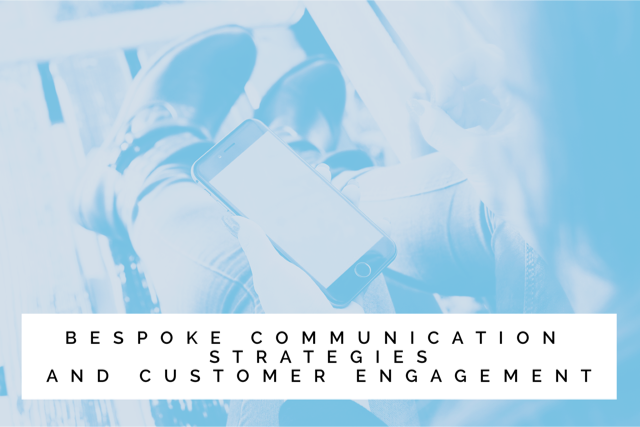 For communications over the policy duration, the policy holder should feel a connection or good impression that leaves them feeling happy and confident in their purchasing decision. There are countless examples of how companies are getting this right. Think Uber and their real-time email comms. They can be helpful (highlighting an event on that evening so be prepared for waits) and sometimes not even to do with getting you to use their service, just letting you know about some charity work they’ve done on your behalf or introducing you to the team behind Uber in your area – personable and engaging. We need to make data and communication the priority. We’ve established that having Customer Engagement at the bottom of the annual internal projects list, isn’t progressing this in any meaningful or beneficial way. We’ve got to put the investment in and harness the expertise of those who have succeeded. Bringing it all together, where do we want to get to? We want to be giving great experiences to our customers, both at sale and over the policy duration, and both tangible and positive. Through one customers’ great experience, it can translate to numerous others, as friends will tell friends. Let’s use the data, let’s use the experts. It’s engaging the Right person, at the Right time, with the Right product.